The race to host the 2019 Dubai Duty Free Irish Open is hotting up with Portmarnock Hotel and Golf Links a potential rival to the likes of Lahinch and County Sligo. With Rory McIlroy keen for a date swap with the Scottish Open so the $7 million Rolex Series extravaganza can take place the week before The Open at Royal Portrush, the European Tour has been touring potential venues with Lahinch and Portmarnock Hotel & Golf Links just two of the courses visited by officials this week. 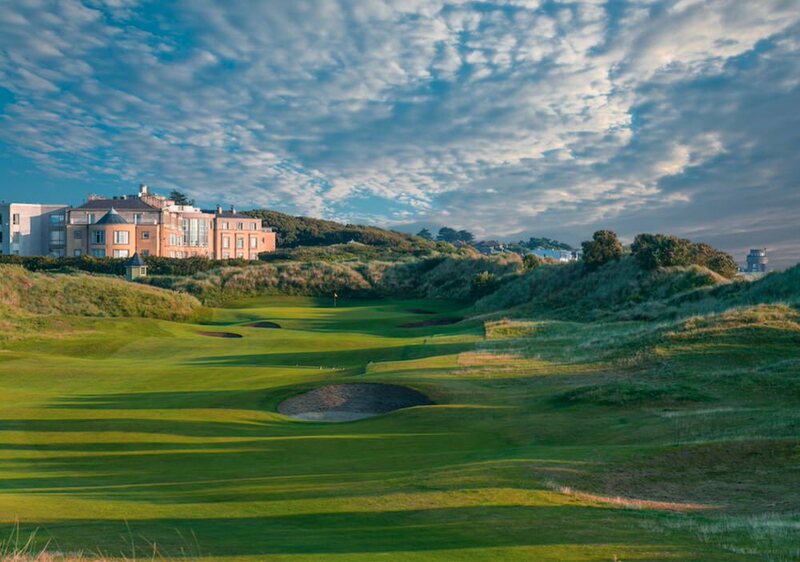 Portmarnock Hotel & Golf Links hosted the Ladies Irish Open in 2008 and 2009 with Kennedy Wilson Europe Real Estate investing more than €10 million in the hotel and the Stan Eby and Bernhard Langer-designed links since acquiring the resort in 2014. A par-71, measuring just under 7,200 yards but with scope for new tees if necessary, the public would access the venue via Golf Links Road near the entrance to Portmarnock Golf Club rather than the main resort entrance on Strand Rd. If they get the nod, the order of holes would be reconfigured with the par-four 5th becoming the first hole. The resort is close to Dublin airport and city and with its four-star hotel and enough space right of the fifth to create a suitable practice ground, it’s a viable option for the European Tour, which is expected to decide on the 2019 venue by early May. Whether it can cope with the huge crowds that traditionally turn up for an Irish Open remains to be seen. Whatever is eventually decided — Lahich is still a warm favourite to hit the jackpot — the 2019 Irish Open will be hosted by McGinley as part of a new rotation with major winners Darren Clarke, Pádraig Harrington, Graeme McDowell and Rory McIlroy, whose Rory Foundation will host the event at Ballyliffin in Donegal from July 5-8. Simon Alliss, Director of the Dubai Duty Free Irish Open, and the experienced tournament director Miguel Vidaor, were in Lahinch with McGinley on Monday to run the rule over his preferred venue before the tour pair went on to visit Portmarnock Hotel & Golf Links. While local media in Co Clare has expressed concern about age-old traffic problems at Blake’s Corner in Ennistymon, which is one of the main routes into Lahinch, county officials and the Gardai are said to be confident that Lahinch can successfully host the event. The Tour is keeping its options open and its officials are already well aware of the links charms of The European Club in Co Wicklow, having visited the venue before opting for The K Club in 2016. County Louth is another option well known to the Tour having hosted the event for the second time in six years in 2009 when Shane Lowry famously won as an amateur. The Tour has yet to get in touch with Baltray, which has built a new short game facility since the last Irish Open.